January 9, 2004 letter and Green Party response. 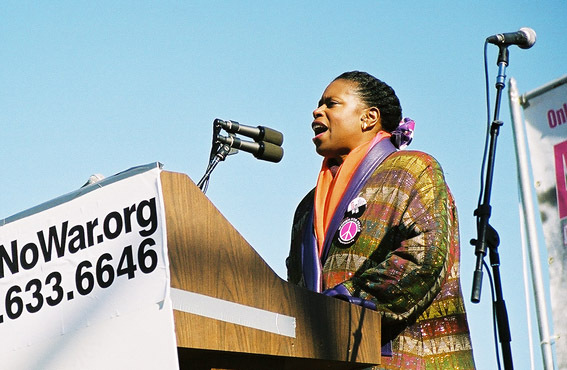 The votemckinney.org site "is meant to be a focus of the efforts to draft Cynthia McKinney for Green Party Presidential candidate." It went up on October 15, 2002 and is the handiwork of Steve Herrick. "A self-organized group of us had been discussing how to promote the idea of Cynthia for Green Party candidate, and I volunteered to put up a website. So far, it seems to be one of our more successful ventures, though it's never mentioned in articles about her and us. It does well on Google, though... I've been pleased to see that people are dropping by to leave comments. There have been one or two things that were patently offensive, which I deleted. I make no apologies for that. But things that are critical-but-reasoned, I leave up."